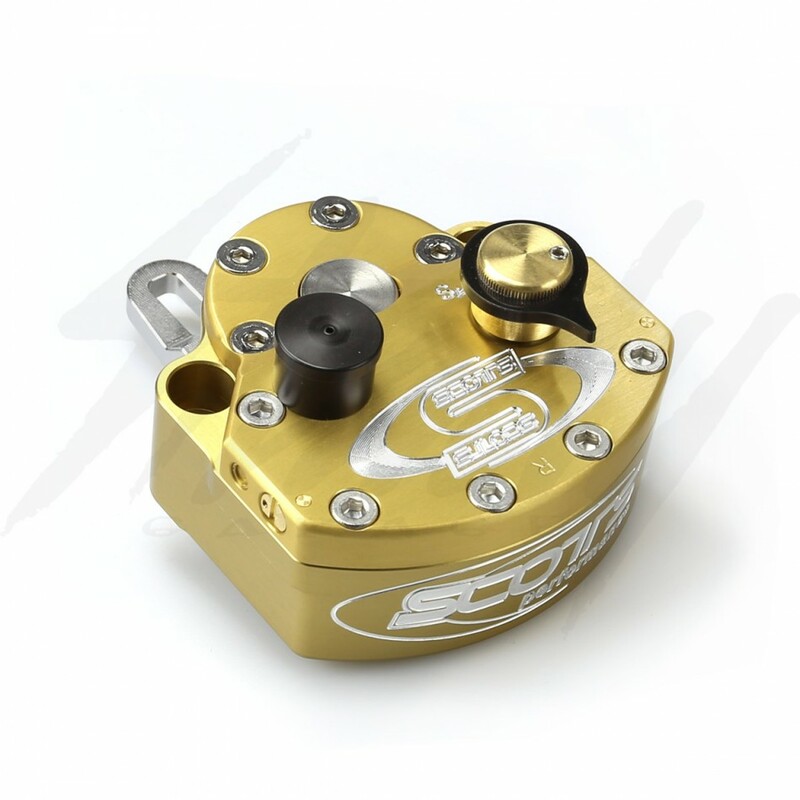 Scotts Performance steering damper/stabilizer for Honda Grom 125 / MSX 125. Steering dampers are designed to inhibit any uncontrolled or undesirable movement or oscillation from speed wobbles. 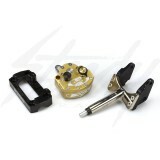 Mounts on top of the OEM handle bar stem and will accept 7/8" handle bars. Whether you have a 50cc or 1000cc bike, being in control of your bike should be #1. 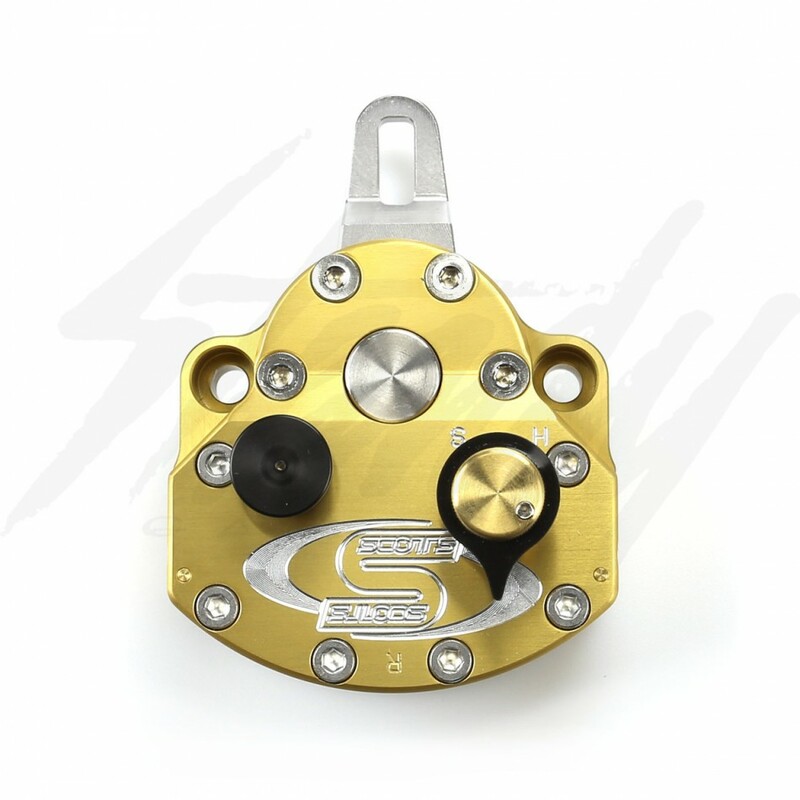 This is one of the best products you can put on a road bike, improving steering, stability, handling and safety considering all the hazards one can face on the road. Scotts had meticulously assembled each kit so they come complete with all the necessary hardware to mount your steering stabilizer. 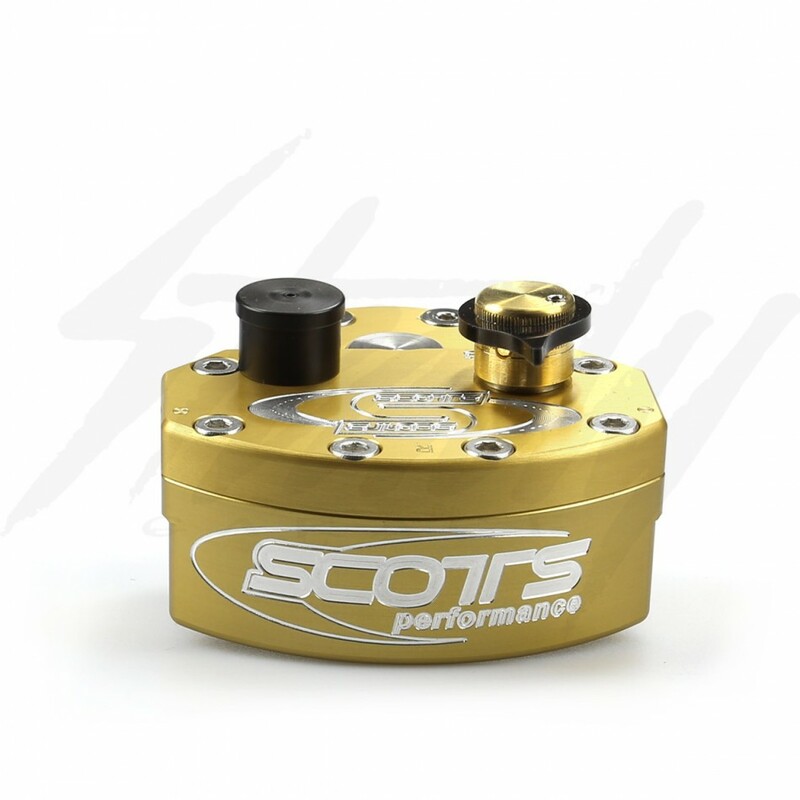 With a spin of a knob, Scotts steering damper is easily adjusted for firmness, allowing you to set it perfectly to your preference. 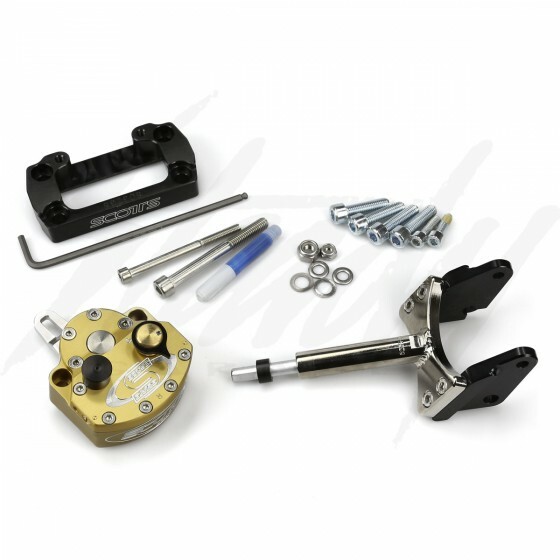 Comes included with everything you need to install the steering stabilizer onto a Honda Grom 125 / MSX 125! Accepts 7/8" or stock handle bars!